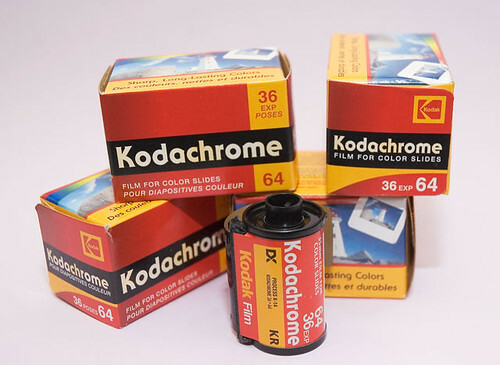 Kodachrome was the favorite color reversal film for a whole generation of photographers and photo enthusiasts, and now Kodak has decided to stop production of this popular camera film. Kodachrome was introduced in 1935, and easily became very popular for professional color photography, especially for images intended for publication in print media, as it had high color accuracy and dark-storage longevity. However, Kodachrome film required complex processing and in many countries it was sold with processing included in the purchase price. As digital cameras and easier film processing with Ektachrome became common, now only one Kodak certified facility exists in the world at Dwayne’s Photo in Parsons, Kansas, who will continue processing Kodachrome films through the end of December 2010 will continue to offer Kodachrome film for sale till supplies last. Kodachrome is famously known to be used by professional photographers like Steve McCurry who shot the 1984 portrait of Sharbat Gula, the “Afghan girl” for the National Geographic magazine. You can visit the Kodachrome Flickr group and track Kodachrome tagged photos to see the amazing colors of Kodachrome. here is a slideshow of great KODACHROME moments. Top photographers Steve McCurry and Peter Guttman look back to how the new generation migrated from KODACHROME to EKTACHROME film.